You can choose to upgrade regular cotton canvas base Medium/large/XL size teepee to 100% organic cotton base. For the XL teepee organic upgrade, there will be a sewing line at the back panel due to the fabric width limit. 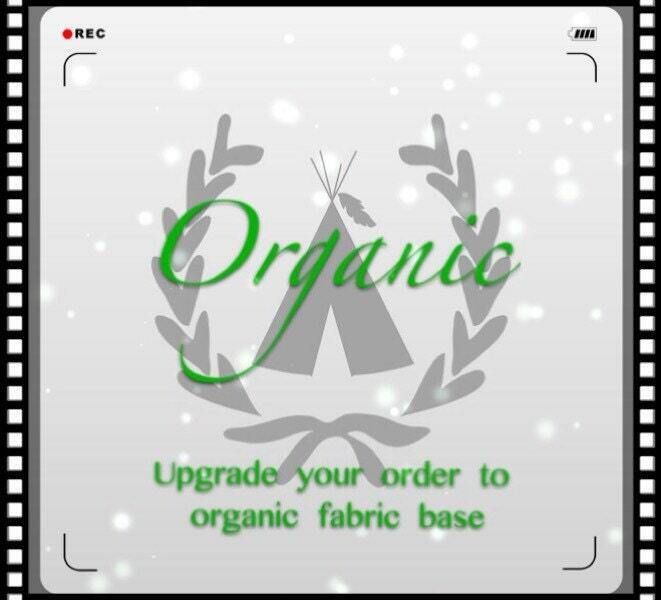 Canvas base teepee will be upgraded to organic canvas base. Muslin base teepee will be upgraded to organic muslin base. 100 % Certified Organic cotton is grown using organic means without the use of chemical fertilizers, pesticides, and insecticides, therefore helping to improve the quality of the land, prevent water contamination, and conserve biodiversity.